He has been specially trained in the study and practice of Meditation (Shinee and Shamata), mindfullness meditation, relaxation techniques, mental purification, Hatha Yoga, pranayama with different masters including Akong Rinpoche, Lama Sangye, Sogyal Rinpoche, Jorge Diaz. He has organized and participated in different retreats and training events for Tibetan and Zen Buddhists. 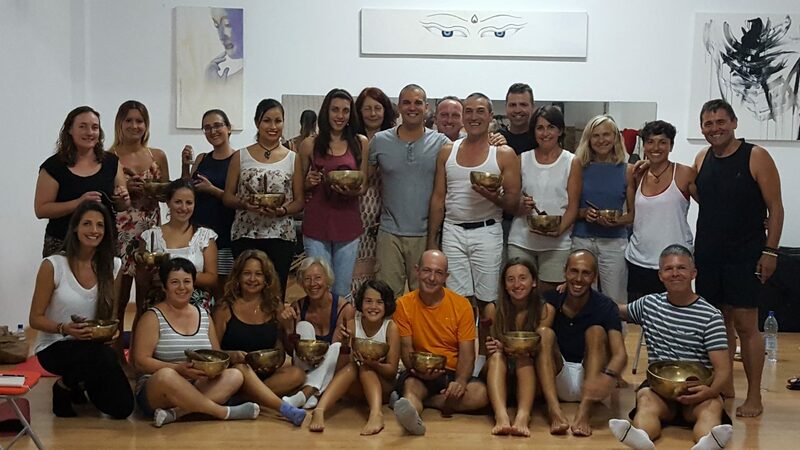 Training and continuous experience since 1998 in Tibetan and modern Ancestral therapy bowl, Gong therapy, vibrational acupuncture and healing with different teachers including Kalu Tseng (Tibet), Karma Dorje Senge (Nepal), Gong Master Adrey Lee (China), Jorge Díaz (Spain), Bruce Manaka (USA), among others. Currently teaching courses, workshops, lectures, mental calm retreats, fears release, meditation and events and mental, physical and spiritual wellness workshops.